We do not curently have theatre tickets available for Il Divo: London at Greenwich Music Time This could be because we have simply sold out or it could be that this show is no longer running. The information on this page remains purely for historical and informational purposes. Founded in 2004 via the evil genius that is Simon Cowell, Il Divo is a supremely talented British-based international pop opera foursome comprised of French pop singer Sébastien Izambard, Spanish baritone Carlos Mar&iapos;n, American tenor David Miller, and Swiss tenor Urs Bühler. Cowell had a desire to bring classical and opera to a commercial audience and spent two years searching for and developing talent for a project that has enjoyed unparalleled international success. To this day, Il Divo continues to be the largest selling act in their genre, with over two million concert tickets sold. In 2006, Il Divo opened for Barbra Streisand on her 20 date North American tour, which generated a phenomenal $92.5 million in gross ticket sales. Predominantly known as a crowd-pleasing live act, Il Divo has released nine albums, selling more than 26 million units across the globe. They also have the honor of having the only crossover classical album, Ancora, to ever to enter the US Billboard Top 200 at No 1. 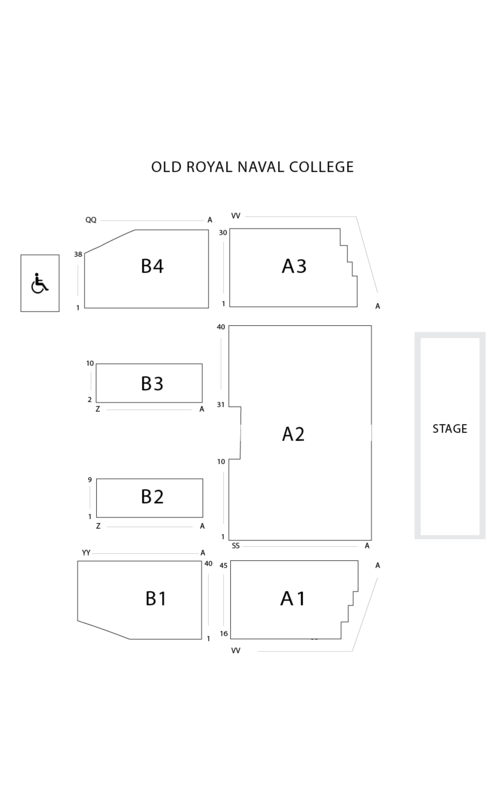 The Old Royal Naval College can be approached from Greenwich and Maze Hill stations, Greenwich and Cutty Sark DLR stations, Greenwich Pier or local bus stations on foot.